I wish to dedicate this post to sleep and its effect on your health. One of the most underestimated areas of health and wellbeing is the amount of sleep you get per night. In my work as a post-rehabilitation and back pain specialist, I have seen far too many injuries which may have healed quicker if the client adopted the advice of getting adequate sleep each night. An often repeated disclaimer I reinforce to new clients is that they might expect their healing to take twice as long if they’re not getting at least a minimum of eight to nine hours of sleep per night. If you exercise then sleep, rest and recovery are your allies in many ways. As you befriend these practices, your health will naturally soar. A point mentioned below worth highlighting is getting to bed at a reasonable hour. There is a strong link between sleeping and feeding. It has been observed that animals faced with food shortage or starvation tend to sleep less. It was also discovered animals who were subjected to sleep deprivation for prolonged periods of time, subsequently increased their food intake by a substantial portion. Recent research studies in humans show that the levels of hormones which regulate appetite are profoundly influenced by sleep duration. Losing sleep is closely associated with an increase in appetite. The hormone released by the fat cells, leptin which signals satiety to the brain and suppresses appetite, is greatly dependent on how much sleep you get. 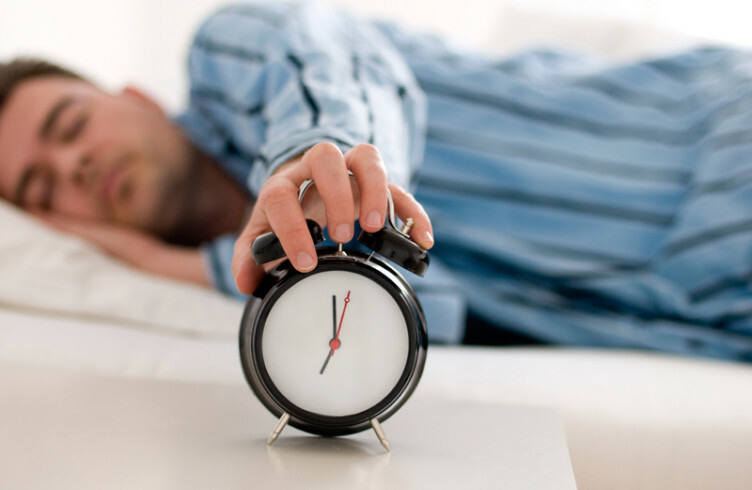 Clearly, sleep is required for the body and brain to achieve optimal rest and recovery. Sleep loss, could be a risk factor for chronic diseases, including obesity and diabetes as demonstrated in many recent clinical trials. Therefore, if weight loss is your predominant focus and you are not getting adequate sleep, I suggest you take appropriate action to improve your sleep habits. Oftentimes making small adjustments to improving one’s health lies in the smallest details – sleep, nutrition, movement, thoughts and emotions are key areas that affect one’s wellbeing. Every living thing sleeps. It is vital for health and well-being and for optimal health. You need to get enough sleep on a regular basis and not just intermittently. On average, in the 1900’s, we were accustomed to sleeping eight or nine hours a night. Nowadays, the average is six hours a night. Over a year we are losing 730 hours of rest and recovery. This will affect us physically and psychologically. As cited earlier, when you sleep your body repairs itself, your tissues recover from the day’s tasks and you download information from your brain. The best time for sleep is between 10 pm in the evening and 2 am in the morning. These are key periods for physical repair. They are also your key psychological repair times. Optimal sleep hours are from 10 pm in the evening to at least 6 am in the morning. Avoid bright lights for at least 2 hours before bed. Use candles and dim lights in the evening. Bright lights increase cortisol levels. Avoid computer usage, iPad’s or screen devices after 8 pm, since they increase cortisol which “arouses” the mind and body. Keep your bedroom pitch black. A 1998 study showing a bright light shone on the backs of human knees can reset the brain’s sleep-wake clock. Minimise the consumption of stimulants in the evening. Avoid such stimulants as: caffeine, alcohol, sugar, nicotine, and energy drinks after lunch since cortisol levels begin to wane in the evening, as your biological rhythm winds down. Sat well hydrated all day. Taper off water consumption at least two hours prior to bed. Keep all electrical appliances EMF’s (Electromagnetic Frequencies) at least two to three metres away from your bed. Turn iPhone’s or Android phones off as a best practice, since EMF’s have been demonstrated to disrupt sleep patterns. Avoid exercising late in the evening, due to cortisol’s gradual decline around 8 pm. Avoid making it a regular practice if you participate in team sports. Adopt a “winding down” ritual prior to bed, whereby you dim the lights and read a book or meditate. You are guiding your body towards gentler activities in anticipation of a good night’s sleep. If you have a health concern or your goal is to improve your overall health, make sleep a priority. Adopt a sound ritual for sleep. Dim the lights in your room prior to bed. Turn off the computer, lights and TV. Turn your phone off if you can or switch it to silent if you must. Slip into appropriate apparel whether it is pyjamas or track pants and a tee. Meditate, read a book or simply relax with a loved one. Interestingly it is the same habits we reinforce with children prior to bed, that we must adopt as adults in order to improve our sleep habits. Simply break your poor sleep habits by implementing one new strategy a week until you have developed a sound sleep routine. It is certainly worth the effort and your body and mind will thank you for it.